On the famous Hawaiian islands, tourists are invited to visit the black beach. This is not a typo, a black beach and the truth is in Hawaii, namely on the Big Island. How did this happen and at what cost? Black Beach is a consequence of the actions of the awakened volcano Kilaue. The terrain of the Big Island regularly undergoes changes due to the activity of the volcano. Now Kilaue smokes, but after the last eruption recorded in May 2018, the consequences for nature are unique. 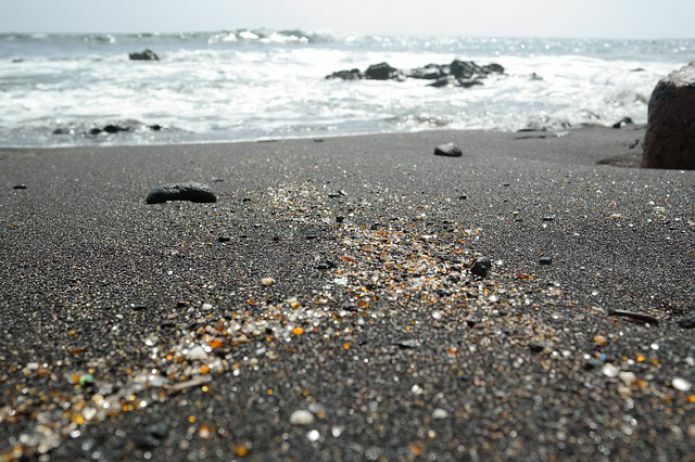 The most that catches the eye is the beach, covered with black sand. The local park of Isaac Kapokalani has got a unique black beach. Already, the beach is called a miracle of nature, and is actively preparing a base for receiving tourists. The undoubted advantage of this unusual place are volcanic minerals, which will stand the good service of the body. Hale Beach will be a valid reminder of the property of the Hawaiian Islands to change, and according to Hawaiian experts, Hale Beach will become a place of pilgrimage for foreigners who are interested in seeing such a creation of nature with their own eyes. What price did Hawaii pay for the appearance of such a beach? Then in early May 2018, in the town of Leilani Estates Kilaue awoke. As noted by volcanologists eruption was the strongest in the last hundred years on our planet. In total, the volcano erupted 250 million cubic meters of lava. The consequences were terrible. For a whole week, Kilaue raged, spewing out all new and new lava. More than 600 houses were destroyed, unique ecosystems and rare plants were wiped out, the ancient lake, which at that time was more than 400 years old, was subjected to evaporation. The Hawaiian authorities were forced to evacuate two thousand people for security reasons, which in the end was a justified move. The natural disaster that happened in Hawaii last year was widely reported in the world media. This is an extra reminder of how terrible power nature possesses, and that it must be reckoned with. Now there are still many active volcanoes on our planet, Kilaue is awake, who is next? 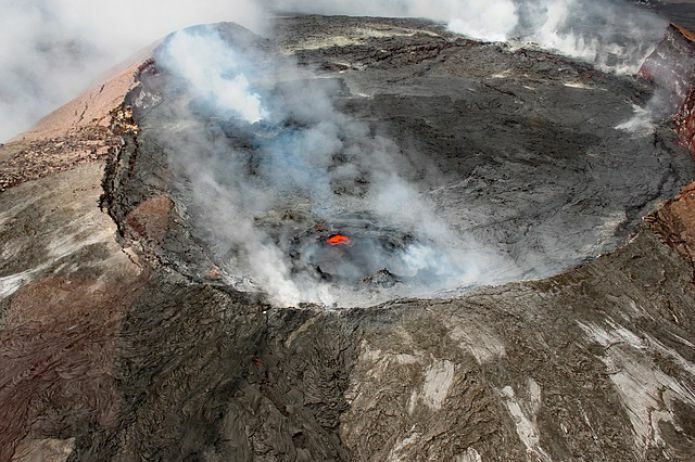 Specialists, among which volcanologists and geologists note the state of the Kilaue volcano as moderately calm. Light haze rises above the crown of the volcano, this ash is sprayed next to the crater. When will the next eruption, what kind of power to wait and what will be the consequences, the residents of the territory closest to Kilaue are asked.